The writer teaches sociology at Delhi University. The Delhi High Court recently delivered a landmark judgement dismissing a suit jointly filed by three global academic publishing corporations and their Indian subsidiaries, Oxford University Press, Cambridge University Press, and Taylor and Francis. The suit charged a photocopy shop at the Delhi School of Economics, and its legal “employer”, the University of Delhi, with infringement of copyright because the shop was selling “course packs”, or spiral-bound compilations of photocopied extracts from books and journals that are prescribed reading materials for courses of study at the university. In a lucid judgement that is radical in the classical sense of going to the root of the issue, Justice Rajiv Sahai Endlaw held that, since copyright is a statutory right created by the law, rather than a pre-existent natural or common-law right, exceptions to this right carry the same legal weight as the right itself. When defining what constitutes infringements of copyright, the Indian Copyright Act carves out an exception for the educational use of copyrighted materials, including their reproduction “in the course of instruction.” Finding that “course packs” fall within this exception, Justice Endlaw dismissed the case. The plaintiffs have since filed an appeal against this judgement. While the law will take its own course, this case raises fundamental questions about the nature and extent of private property in an inescapably collective context like the world of scholarship and higher education. Just as we are now being asked to ponder the question — who “owns” the Indian cricket team?— this case asks us to reconsider the ownership of books and ideas produced in the intellectual commons. Four facts frame such a reconsideration. The first is that commercial academic publishing is not a commercial enterprise in the normal sense. Unlike ordinary commercial establishments, academic publishers pay almost nothing for their inputs (manuscripts), or key services (refereeing and editorial oversight), but nevertheless claim “full” ownership rights over the products they acquire from the intellectual commons. It is only because academic authors are paid salaries by their parent institutions (mostly public universities and research centres) that they gladly give away their manuscripts for lifetime royalties that are usually less than a single month’s salary. Other salaried teachers and researchers act as referees and editors, once again, for little or no payment. Yet other academics — and their students — provide a captive market, as well as free and effective forms of publicity and promotion. Commercial publishers can and have added value through their own contributions like editing, copy editing, distribution, keeping a book in print, providing differentially priced editions, but it is precisely in these areas that standards have fallen sharply in recent times, despite honourable exceptions. The second stark fact is that quality higher education is not compatible with an overzealous copyright law. University students are required to read widely, their reading lists change frequently and their numbers can never match those of school students. This is a market with a large and constantly changing range of products, but with sales volumes that cannot leverage the gigantic scale economies available for school textbooks. Buying the readings for even a single course at market prices easily adds up to tens of thousands of rupees, turning a masters’ degree into an unaffordable multi-lakh luxury. Alternatives — like licensing systems that accumulate tiny commissions from thousands of retail outlets — have proved hard to implement in advanced economies and will face insurmountable obstacles in India. The third crucial fact is the technological transformation of publishing. Academic publishing has always been more or less non-viable on strictly commercial grounds. But it originated in an era when book production was a highly skilled craft and publishers were technologically and organisationally indispensable. Today, digitisation and internet-based distribution threaten to make publishers redundant. Monopolistic pricing and predatory copyrighting have been pushed the hardest by publishers of scholarly journals, and their aggressive greed has provoked a backlash. Hit by spiralling journal subscriptions, some of the richest universities on earth have chosen to challenge commercial publishing. Established in 2011, the Coalition of Open Access Policy Institutions (COAPI) has a growing membership that includes universities like Harvard, MIT, Stanford and Columbia. An international consortium of academic libraries, Scholarly Publishing and Academic Resources Coalition (SPARC) is “working to correct imbalances in the scholarly publishing system”, and has more than 800 members on four continents. Major research funding organisations like the National Institutes of Health in the United States now require their grantees to publish only in open access journals. Similar initiatives are already underway in India and will surely gather momentum. The fourth fact is that academic publications are peripheral to the Indian Copyright Act, which is mainly concerned with mass-market, high-value intellectual property like software, films or popular music. The 2012 parliamentary debate on the amendment to the Act invoked the tragic cases of shehnai maestro Bismillah Khan and film music composer Ravi, who died in penury despite their works earning millions for unscrupulous others. With academic publications and especially journals, it is publishers and not authors who make millions from copyrights. 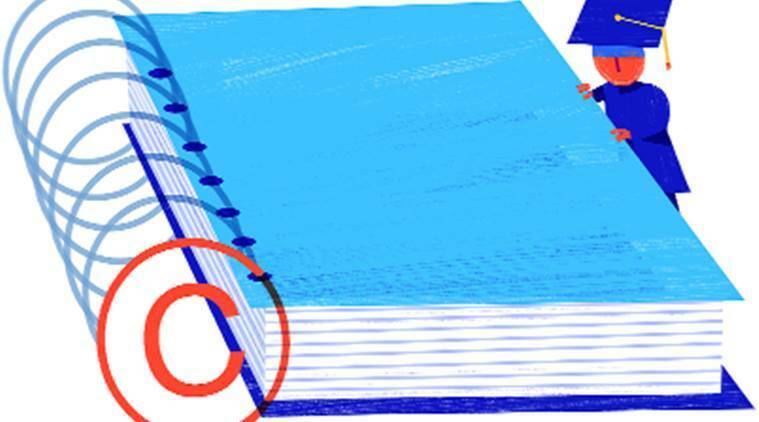 Indeed, it is precisely because of their relevance for a public good like education that academic publications and educational use are specifically exempted by the Indian Copyright Act. Taken together, these four facts suggest that publishers may not gain much even if they succeed in their efforts to overturn the current judgement. Academic publishing has always been, and will continue to be, a low volume market with a business model based on institutional rather than individual sales. The three plaintiffs in this case are gigantic global corporations reporting healthy levels of profitability — they are not going to be bankrupted by one-room photocopy shops serving students in Indian universities. By insisting on their pound of flesh in the face of the letter and spirit of the Indian law, they are inviting attention to the conditions in which they operate and the implicit and explicit subsidies they receive from the intellectual commons. Sadly, they are also helping to obscure the larger truth that students, teachers and academic publishers are natural allies with a strong stake in each other’s well-being.